The Italian newspaper “IL FOGLIO” in its release today revealed that the Lebanese General Wesam al-Hassan, the head of the intelligence, one day before his return to Lebanon, held a secret meeting in Berlin, attended by the President of the German Federal Police, “Joerg Ziercke” and representatives from the German intelligence (BND) and a delegation from the “Hamas” Palestinian movement. Wesam al Hassan was killed by a car bomb on October 19 in Beirut after his return from Paris, where he was visiting family who moved there since 2005 for safety reasons. Before flying to the French capital for personal reasons, Wessam had been in Berlin together with four other services men to meet Jörg Ziercke, head of the German Federal Police. In Berlin, however, Wesam al Hassan had also met men of the German intelligence service (BND) and a delegation of Hamas, the armed Palestinian group that controls the Gaza Strip. What interest had the Lebanese general to talk to Hamas in what would become his last trip? The rightist newspaper, known with its relations with “neo-conservatives” and defending the Israeli Likud, claimed that the conferees, led by Hassan, main theme was the situation in Syria, and Hamas whose armed rebels are at war against the government in Damascus, and knows the Syrian regime from the inside and has an extensive network of contacts in Syria, both in the cities and regions and especially in the Palestinian refugee camps still controlled by the government. 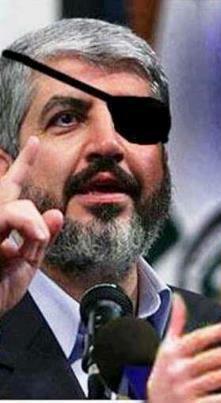 Moreover, Hamas still have a strong presence in Syria, despite the departure of its political leader, Khaled Meshaal, after 11 years of residence as a special guest protected by the Syrian secret services. In late February, Meshaal, broke with President Bashar al-Assad and left Damascus and now lives between Egypt and Qatar, both countries are enemies of Damascus. Before leaving Syria, Assad has twice refused to talk to Meshaal. Hamas even through the difficulties of the war continues to maintain a strong presence among the Palestinians in Syria where Hundred thousand Palestinians live in Damascus in the “camp” of the Yarmouk, which has long been transformed into a normal neighborhood. Perhaps it is already the fifth column. The fighters of the rebel group Ahfad al-Rasul, the “Brigade of the descendants of the Prophet”, present in the Yarmouk camp and in the area south of the capital are mostly supporters of Hamas (as confirmed by Wednesday, November 28 edition of the Arab newspaper Al Quds al Arabi). According to the Italian newspaper, before jumping in the air in Beirut, General Hassan was part of the Lebanese who has sided against the Syrian government of President Bashar al-Assad (to the point that immediately after the bomb everyone immediately pointed the finger at Damascus) and worked in contact with the Saudi intelligence to offer help to the rebels Syrians. The German intelligence service have good contacts with Islamist groups in the Middle East – in 2009 took part in the negotiations to free the Israeli corporal Gilad Shalit, captured by Hamas – and therefore know how to accommodate contradictions, especially since it has already played the same role between the Americans and the “Taliban” movement! Hariri and Sakr Caught Red-Handed.